Don't pay any mind to what the rest of the dealers in Canton & Woodstock proclaim; Shottenkirk Ford Jasper provides to you the foremost prices for any trade-in car, truck, or sport utility vehicle (SUV). Whether you are looking to switch into a new Ford despite still having to pay down your existing loan or you currently possess a car that has been around the block a few times and is barely getting you by, you can move forward with the knowledge that our trade appraisal consultants will work for you and capture the highest value possible for your car. Interested in hearing more about how the committed trade-in staff located at Shottenkirk Ford Jasper is leveraging a new take on the act of trading in your vehicle and leaving in the dust other dealerships in Canton & Woodstock that still make use of unacceptable methods? Then spend a few minutes with us as we explain the finer points of our top of the line approach to trade-in cars. When it comes to differentiating ourselves from the other dealerships found here in Canton & Woodstock, Shottenkirk Ford Jasper earns the top spot as the only provider of automotive services that put your needs first. To confirm this notion, you should turn your focus to the way the members of our trade-in department conduct themselves during the automobile trade-in evaluation process. Getting to Work with the Friendliest Ford Professionals in Canton & Woodstock – Providing the best trade appraisal process to our friends in Canton & Woodstock is one of our favorite things to do, so we always make it a point to give to you the respect and kindness you expect. From working through any issue that comes your way to reviewing anything else that concerns you, our committed trade-in professionals are focused on doing what is required to guarantee that you are happy and satisfied with your appraisal experience. An Unbreakable Best Value Guarantee – We understand fully that you need to get the best deal for your trade-in vehicle, so we always go above and beyond with the most honest and customer-friendly trade values available. Should you be offered a more enticing valuation on your vehicle at some other dealership, let us know and you can count on us to not only match this valuation, but also do better by you. Say Goodbye to Hassles, Pushy Tactics, and Commitments – By requesting an appraisal of your car by Shottenkirk Ford Jasper, you can take confidence in the fact that this process is completely stress-free. We never force our friends in Canton & Woodstock into a hurried choice, so take all the time you need to contemplate your potential paths and come to the choice that can be shaped to your particular needs. While going above and beyond in this manner is far from a laissez-faire approach, the group at Shottenkirk Ford Jasper accepts only this high standard. Your enjoyment is our leading concern, so we have no problem doing what is needed in the pursuit of these elevated criteria. We would like to take a moment and cover our staunch attachment to openness and trustworthiness during the trade-in valuation process. While other dealerships might leverage a substantial dose of smoke and mirrors in an effort to keep you unsteady and unsure, you can rely upon the Shottenkirk Ford Jasper team to skip the charade and keep you in control. Not sure about how we arrived at a final point on your trade-in value or why the Shottenkirk Ford Jasper team appraised this vehicle a certain way? Then go ahead and request a little added explanation. It will become readily apparent that we are perfectly happy to give you all of the particulars of this procedure in an effort to keep you pleased and caught up with everything that goes into this major personal choice. 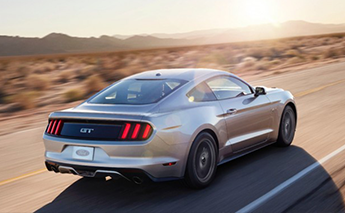 So why can Shottenkirk Ford Jasper offer up to you the right value for your trade-in car? It all starts with a dedication to doing right by our appreciated visitors. Instead of trying to take advantage of our years of experience within the automotive marketplace to hoodwink a shopper, we seek to concentrate on sound ways that stand up to critique and assessment from all of our customers. The reasoning behind this approach is actually quite simple. While deceiving an unsuspicious visitor might bring in a relatively better deal now, respecting you and the rest of our friends in Canton & Woodstock makes sure that you take part in a winning experience, and that you have a reason to stop by again the next time you want to think about your trade-in choices. In far simpler terms, taking care of you right out of the gate is the best way to craft a legitimate relationship with potential shoppers. When the conversation moves to the vehicles we are willing to consider as part of a traditional appraisal, the answer is actually very frank: Shottenkirk Ford Jasper is glad to review any vehicle, irrespective of a wide array of variables, like: Brand, model, age, and condition. Even thought the remainder of the local automotive landscape tends to impose rigorous limitations on their trade-in evaluation process, our vehicle evaluation team is prepped to take a peek at almost any automobile. Even autos in less than stellar condition or in need of fixes and restorations are certainly in the domain of what we are willing to consider. The only thing we ask of you is that you make the Shottenkirk Ford Jasper team aware of any complications or concerns pertaining to the vehicle that you are cognizant of during the automobile valuation process. In doing this, we will have the perspective we need to have to guarantee that we offer up the finest bargain conceivable on your trade-in automobile. What Is the Following Piece of This Process? Are you interested in making use of Shottenkirk Ford Jasper's extraordinary method of approaching trade-ins today? Then be sure to take a look at the quick trade-in form found on this page. After tackling this document and sending along all of the info required, our certified appraisal staffers will get to work on providing you with the most accommodating trade-in value for your car in Canton & Woodstock.